Today saw the much anticipated launch of our new soft play facility called Noah's Ark. Designed specifically for the age range 0-5, the opening was an invitation only event to those parents and toddlers who have been long term attendees. The day was very special both for us and for the children who didn't want to leave at the end! 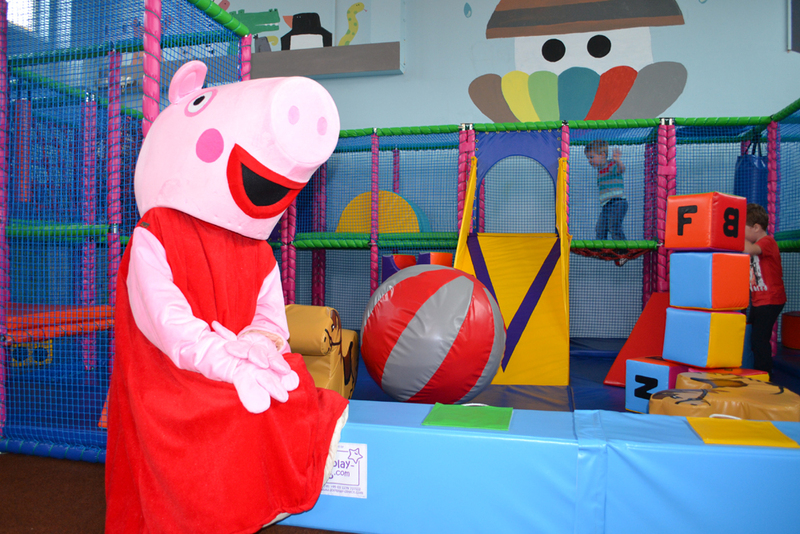 The soft play was opened by Pat Stockdale, whose husband Ian had been a great supporter of our work in the community. Pat was joined by Peppa Pig to cut the ribbon and by our three City Councillors who had been instrumental in securing the funding for the capital cost involved. We are grateful to the book publishers 10ofThose who kindly allowed us to use the artwork from their book 'Noah's Ark' for our mural decorations, to our graphic designer Diane Warnes and artist Helen Little for all of their contributions to this important and, we hope, successful project for the community. Open for six two hour sessions each week, this is a much needed facility for the west of Carlisle and we trust it adds value to the local community.